Happy Thanksgiving to one and all. I will be back Monday! One of her most popular books. It has been a bad few weeks for children’s literature in terms of the loss of talented people. 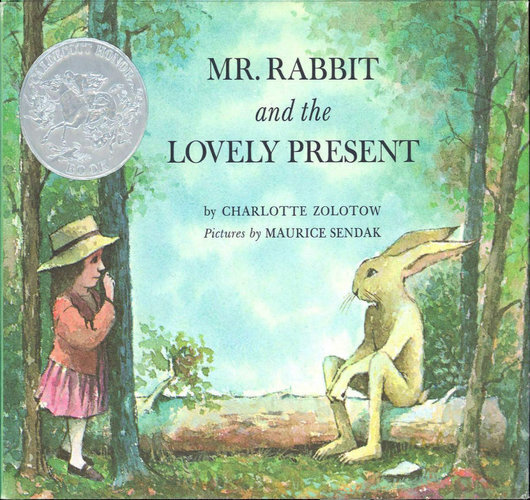 On November 19, 2013 author and editor Charlotte Zolotow died at the age of 98. Charlotte wrote numerous books for young readers. 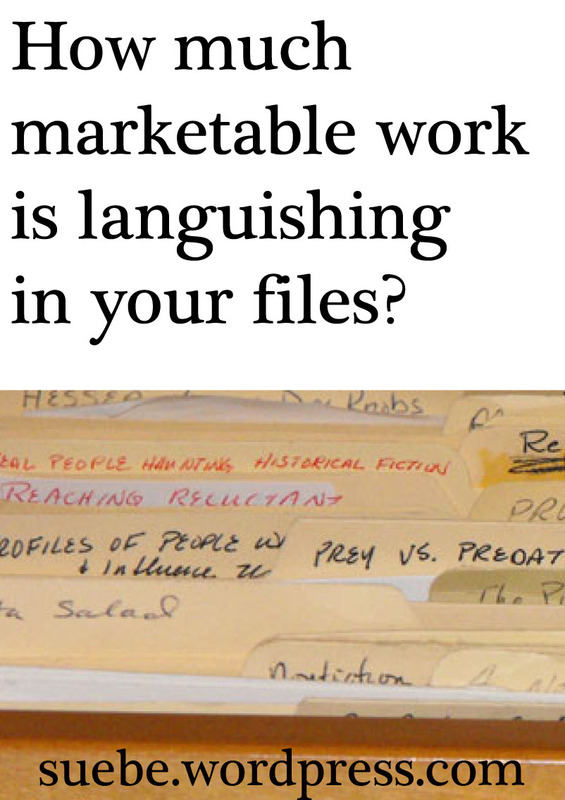 Some estimates I’ve seen say over 70 books. Others give the total as over 90. 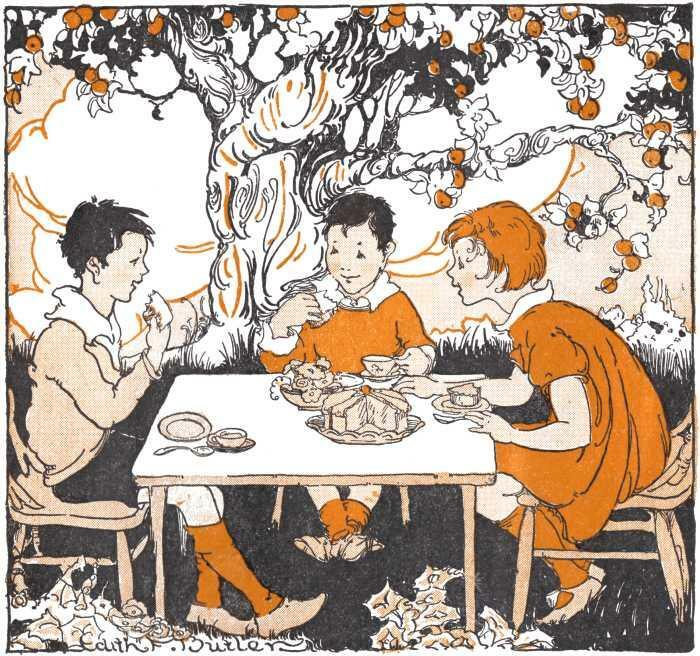 How ever many books she wrote, she was famous for telling children honest stories, minus any sugar-coating. You can find out more about Charlotte and her work here on her site. And here is a fantastic, detail-filled article about her here at the New York Times. She is definitely a talent who will be missed. Congratulations to Cynthia Kadohata and her editor Caitlyn Dlouhy. Last week, Kadohata won the 2013 National Book Award for Young People’s Literature for her book, The Thing about Luck (Atheneum Books for Young Readers). I have to admit that I haven’t read all of the finalists for this award yet and Kadohata’s book is one that I’m still waiting for the library to receive. I still enjoyed reading her interview with the National Book Foundation here. Kadohata is one of many authors whose personal experience color the world of her books. Here is the description of the book, from Goodreads, to tickle your fancy. Pick up The Thing about Luck and see what makes the winning novel tick. I like to think that I’m a fairly productive writer. I work five days a week and send things to various editors on a regular basis. But recently I realized that I could easily be more productive. I’m one of those writers who likes to brainstorm because I’m good at it. Really good at it. This means that I am always jotting down ideas and drafting manuscripts. Any why not? I submit work every month. That is 48 manuscripts, 47 of which I might be able to use in some way. Certainly some of the 25 hangers-on will never pan out, but that still leaves a decent field of sell-able work. And that’s only in drawer #1. I have three more full drawers. Yep. Three more. I’m not saying that I should quit brainstorming and writing new manuscripts, but certainly I should rework and/or update some of these and get them out there. Perhaps some of them could be combined into a longer work. Maybe I could publish some of those that have already sold once as e-books. Exactly what I’m going to do with be decided on a folder by folder basis, but I am going to do something. I’ve already reworked one picture book and submitted it to an agent. One thing that can help you be more productive is accountability. To read about various writing groups that give you both external deadlines and accountability, check out my post yesterday at the Muffin. At some point in the rewrite process, my friend Kris Nitz reads her work aloud. Actually hearing it helps her fine tune words and phrases. I’ve tried to do this and it works great for about half a page. As I read, I get quieter and quieter. Before you know it, I’m mumbling and then I’m not speaking aloud at all. 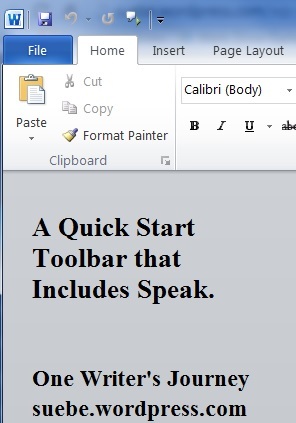 Fortunately, if you use Word, you can install a function called Speak on your Quick Access Toolbar. Just follow these steps. In Word, the default location for the Quick Access Toolbar is the upper left corner of the screen. On the far right of this Toolbar is a black arrow pointing down. Hover the mouse over this arrow and it says “Customize Quick Access Toolbar.” Click on this arrow. This opens a drop down menu titled Customize Quick Access Toolbar. Mouse down to More Commands and select this option. This opens the Word Options menu. In the dialogue box, Choose Commands From, Popular Commands will be selected. In this dialogue box, scroll down to All Commands and select. Scroll down through the menu list until you find Speak. Select and then click the “Add >>” button. Speak will now appear in the Customize Quick Access Toolbar on the right hand side of this menu box. At the bottom right of this menu box, click OK which will save this option and close the menu box. Once you have installed Speak, all you need to do is select the text that you want the program to read and then click the Speak icon on your Toolbar. I can’t say that I’m in love with the mechanical sounding computerized voice, but I used this feature to review a 70 page workbook. Where my eyes alone will scan a page and skip over duplicate words and one word typed instead of another (dead vs head), Speak forces me to listen to each and every word. In addition to spotting mistakes, it also helps me find tune the sound of my text. The result is a piece that is much more pleasing to the ear — a definite plus for a picture book but beneficial to anything you write, including Kris’s young adult novels. Regnery Publishing has added Regnery Adventure to its children’s list. To launch the imprint, the company signed a middle-grade fiction series, The Kerman Derman Chronicles, by author and broadcast journalist Raymond Arroyo. The first title in the series, Kerman Derman and the Relic of Perilous Falls, will be released in June 2014. A spokesperson said the company is in discussions for other series but in 2014 will focus on Kerman Derman. In June 2012, Regnery entered the children’s market with Little Patriot Press. This imprint currently has 14 picture book titles aimed at children ages 5-8. Diane Reeves is the editorial director for both the children’s and middle grade books. Since Regnery emphasizes that they publish great conservative books by great conservative authors, I know I wouldn’t be a good match for this particular publisher although one of you might have something suitable for one of their imprints. Sad, sad news for the world of children’s publishing. Barbara Park, best known as the author of the Junie B. Jones books died last Friday after a battle with ovarian cancer. These were some of Jared’s favorite books probably up until about 3rd grade. He didn’t care that Junie B. was for first graders. Or that she was a girl. She was funny and full of adventure and that’s all that mattered. Junie B. was the female character who taught us that boys will only read about boys was rubbish. She taught us that if you are interesting enough, everyone, including grown ups, will read your stories. An update on what Red Squirrel wants as well as Amazon Children’s Publishing. Picture books are a hard sell. They cost so much to produce that many publishers are cutting back. Don’t even try to break into the market unless you illustrate as well as write. Ripple Grove Press is a small family owned publisher that publishes picture books and nothing but picture books. No chapter books. No middle grade. Not even the ever lucrative young adult. Picture books. 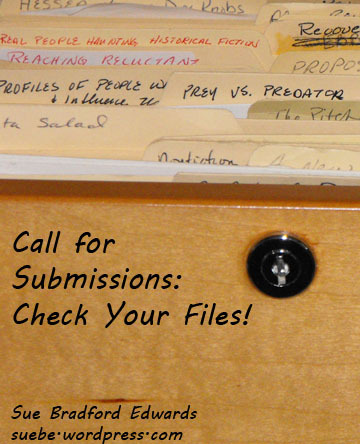 This publisher is looking for both authors and illustrators, accepts unsolicited material delivered by both snail mail and e-mail. This is definitely someone that I’m going to keep my eyes on as possible publisher for some of my work. Whether or not you are participating in Picture Book Idea Month (PiBoIdMo), brainstorming story ideas is an important skill for any writer. Brainstorming helps you develop characters, embroider settings and come up with those little sparks that get a story rolling. In PiBoIdMo, the goal is spend November coming up with 30 story ideas. So far, I have 33. Yep. 33. I don’t come up with an idea every day, but when I do come up with one idea, I usually come up with 2 or 3 and some days I do much better than that. So far today, I’ve come up with 7. The thing about brainstorming is that it really does tend to be a storm. First you get a pitter patter of one idea here and another there. Soon, they are coming fast and furious and you have to hurry to write them down. At least, that’s how it works when you get out of the way and let the ideas come. If you find brainstorming difficult, you are probably getting in your own way. You really can’t brainstorm if you are thinking about how much you need to accomplish or how important this brainstorming session is. You won’t get into that rapid rush of ideas if you are trying to examine them as they come. “Is this one marketable? Has it been done before? Can I make it work?” Nope. These are not appropriate brainstorming thoughts. 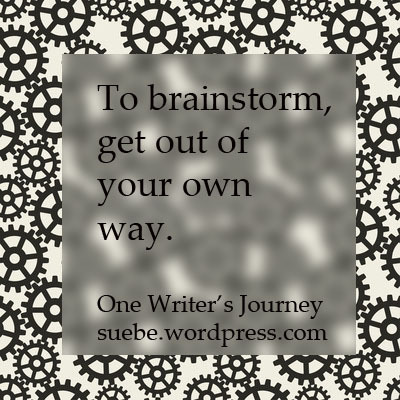 To successfully brainstorm, you need to shut down that editorial, business voice. This is just you the writer, the artist, catching ideas. Just let the ideas fill the page. You’re brainstorming. Get out of the way and let it happen. Although they haven’t named the imprint yet, Simon & Schuster announced plan to launch and new sf/f & horror imprint. The imprint is under Jon Anderson, Executive vp & publisher of Simon & Schuster Children’s Publishing. He has appointed Justin Chanda, v-p and publisher of S&S Books for Young Readers, Atheneum, and Margaret K. McElderry, as the publisher of the new imprint. Joe Monti was hired as executive editor. Most recently, Monti is an agent at Barry Goldblatt Literary. Navah Wolfe was named as editor for the imprint. The plan is to publish sf/f and horror for all ages. “A lot of content comes our way that we find compelling, but which won’t work in teen sections [of bookstores],” Anderson said. “We don’t want to use that as an excuse to not publish books for a growing market.” Thus, the new imprint. The books will be sold by both the adult and children’s sales forces. Anderson expects to publish 12 to 15 hardcovers/year, launching in Spring 2015. In addition to print formats, the imprint will publish digitally, including e-only and serial publishing. Keep your eyes on Simon and Schuster for more news.